This past weekend Joshua and I began what I call Project Nice Yard. The inside of the house is done, for the most part, with just a few touch-ups here and there; therefore this summer is all about the outside of the house. 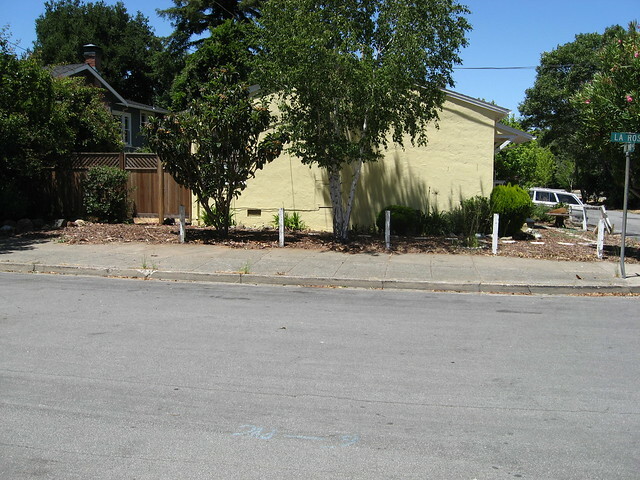 We started out on Saturday by taking down the crappy white fence that surrounded our house. Throughout the day we had different neighbors come by to help us remove the fence, which I thought was pretty cool since for awhile Joshua and I were under the impression our neighbors didn’t like us very much. Many people driving by put their cars in reverse to check out our progress while others smiled giving us the thumbs up or yelling out, “Great job!” Needless to say people are really impressed with what we’re trying to do with this place. 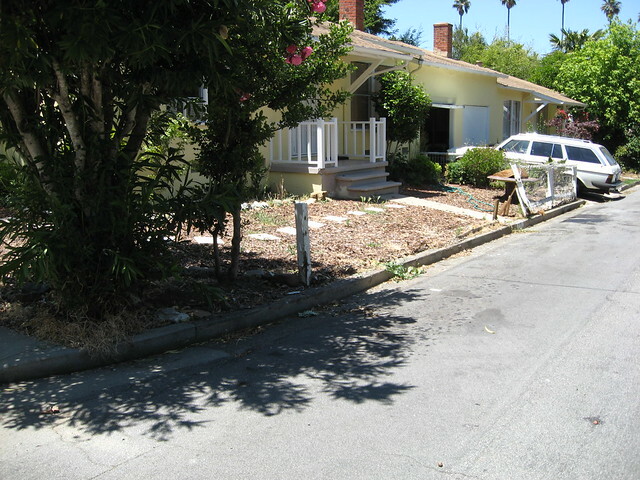 The front will look even better once we get rid of the bark (a temporary fix) and put in a nice green lawn! We had a few little blips during the day. Earlier in the morning we went over to east bay so Joshua could make some money off recycling some car parts and so I could get some things at IKEA. When we came home our front yard hose somehow got a hole in it so water was spraying all over the front of the house; some of it leaked into the house but luckily no damage. And poor Joshua! While loading the pieces of fence into the truck one bounced off another causing the back window of his truck to shatter. At least he got another window today and my grandpa helped him out a wee bit with that. 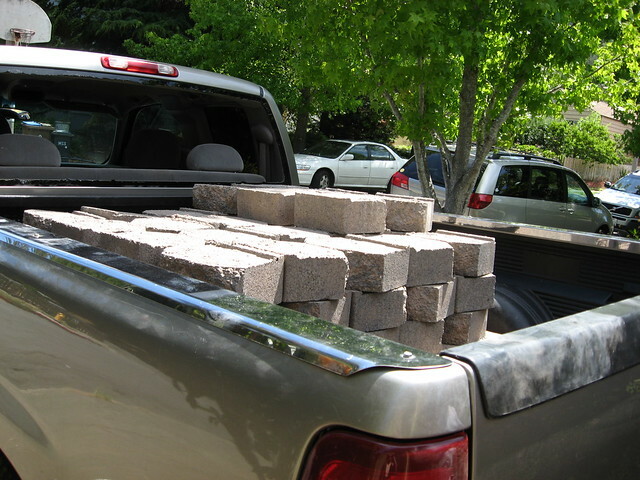 The next day, after a dump run and trip to my grandparents house, we headed to Home Depot and bought a pallet of stones. 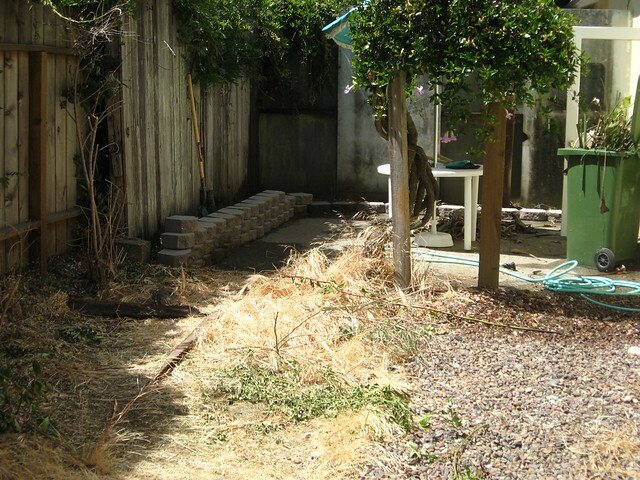 For two hours Joshua put together the retaining wall in the backyard. I threw my back out again on Friday while prepping the back yard so this weekend I wasn’t allowed to do much. 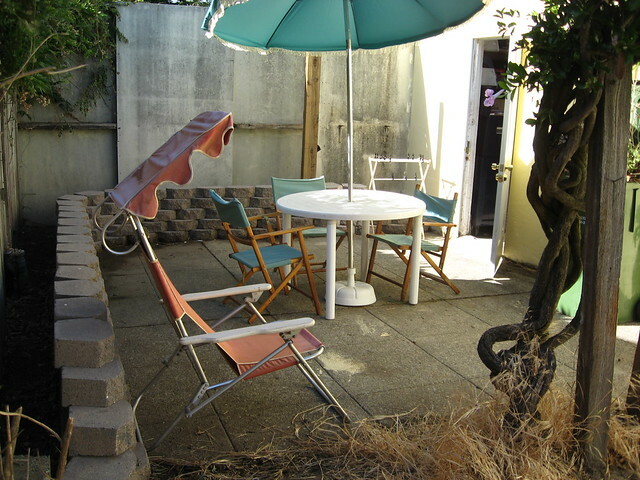 Instead I set up the super cute patio furniture my grandparents gave to me. Behind the wall we’re planning to put soil in and plant some flowers. 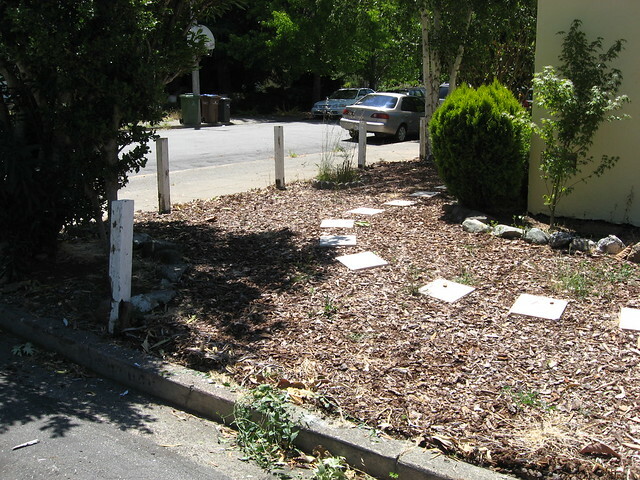 Today my duty was to clear the rest of the yard of grass/weeds/trees/etc. in preparation for the fountain we’re going to build; I’m super excited about this as it’s something I’ve been wanting in the backyard for a really long time. I think it will add such a nice touch, especially since we’re shifting the path and planting moss all around. Oooh gonna get me some pretty decorative outdoor lights too!